The ‘Recipe for Success’ here at our Junior School is about securing academic success in the long run, but it’s also about so much more. We are now well into the launch of the initiative and the response has been extremely positive. Girls, parents and the whole school community can see what we are recognising in terms of achievement, and why it is so important. Real and deep learning is not quick and easy to master. There are always obstacles to over-come, others to understand, different ways of interpreting knowledge and presenting your understanding, all whilst maintaining an essential positive attitude and approach. Our ‘Recipe’ provides an easy to remember acronym for the six essential ‘ingredients’ or characteristics for success: Resilience, Empathy, Creativity, Initiative, Positivity and Excellence. The wide recognition of successes received by girls is shared with the whole school community, ensuring that the Junior girls have an opportunity to see and hear about this and replicate it themselves. This is particularly useful for younger girls who model themselves on the older girls. Each week every teacher nominates a girl to receive a certificate of recognition (not reward – it is important to use the correct terminology!) This is presented in our Friday Celebration Assembly and published on our weekly Be Extraordinary Bulletin (BEB). The girls who are not nominated are reminded that not receiving a certificate does not mean that they are not demonstrating the ingredients, and it is important to celebrate others’ successes. The girls have really adopted the Recipe as their language, as demonstrated when a school governor came into school to talk to them during the initial stages of the launch. The girls showed that they knew the ingredients, could give concrete examples of what these abstract concepts meant and enjoyed identifying them in action within their own classrooms. 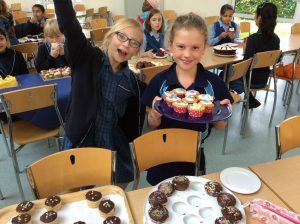 In addition, the Year 6 Book Club independently set up a reading challenge for the Juniors in March in which the girls were asked to nominate fiction they’d read which illustrated any of the six ingredients from the Recipe. At the end of year assembly, every class nominated their own teacher for a certificate of recognition, linked also to the Recipe. 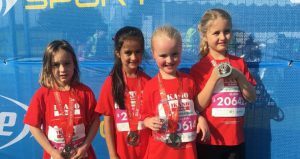 Girls are also applying these vital ingredients to their lives outside of school and sharing what they have achieved in sports, hobbies and other activities through focussing on these ingredients for success. It has been great to receive e-mails, tweets and other forms of communication about this from parents. The approach that we are aiming for here is one which focuses not only on academic success, but on the success of the girl as a character in her own right. A number of schools have adopted an approach centred on well-being, as promulgated by Dr Martin Seligman, Director of the Positive Psychology Centre at the University of Pennsylvania in the United States. Dr Seligman’s model advocates that academic success and well-being form a double helix, and that the best schooling must include educating children on values and character, as well as how to interact well with others, set goals for themselves and work towards achieving those goals. At NGHS we are already paving the way in character education by creating our own unique Recipe for Success that is relevant to our extraordinary girls.